What are Food Allergens, and How Are They Labelled Around the World? Food allergy is a significant public health issue worldwide. Every three minutes, a food allergy reaction sends someone to the emergency room in the U.S.. About 17 million Europeans suffer from food allergies, with 3.5 million of them less than 25 years of age. The number of children with allergies has doubled in the last ten years in Europe, and visits to emergency room have increased seven-fold. A food allergy happens when the immune system attacks harmless proteins in foods. Unlike a food allergy, an intolerance does not involve the immune system. It is a problem that affects people who have trouble digesting certain ingredients in foods. Lactose intolerance, a problem digesting milk sugar, is the most common intolerance. It is caused by a deficiency of lactase enzyme, which digests lactose sugar, and typically has less severe symptoms than a food allergy. Food allergies can be fatal. An allergic reaction to food can affect the skin, the gastrointestinal tract, the respiratory tract and, in the most serious cases, the cardiovascular system. Reactions can range from mild to severe, including the potentially lifethreatening condition anaphylaxis. Certain foods are more likely to cause dangerous reactions. For example, peanut, tree nut, shellfish, and fish allergies are usually more severe than fruit or vegetable allergies. Severity may be related to the amount eaten, with more dangerous symptoms following a larger amount ingested. A person can develop a food allergy at any age. However, food allergies most often develop in infancy and childhood. Genetic predisposition (allergies running in families) and environmental factors (exposure to foods, components of the diet, and other factors) play a role. Any food can cause food allergies. Over 170 have been noted to cause reaction. We hear so much about peanut allergy because it is widespread and usually persistent, and it accounts for most of the reported fatal reactions to foods. Peanuts, tree nuts, fish and shellfish cause the majority of allergic reactions in adults. In children 90% of the reactions are caused by cow’s milk, chicken’s eggs, wheat, peanuts, tree nuts and soybean protein. 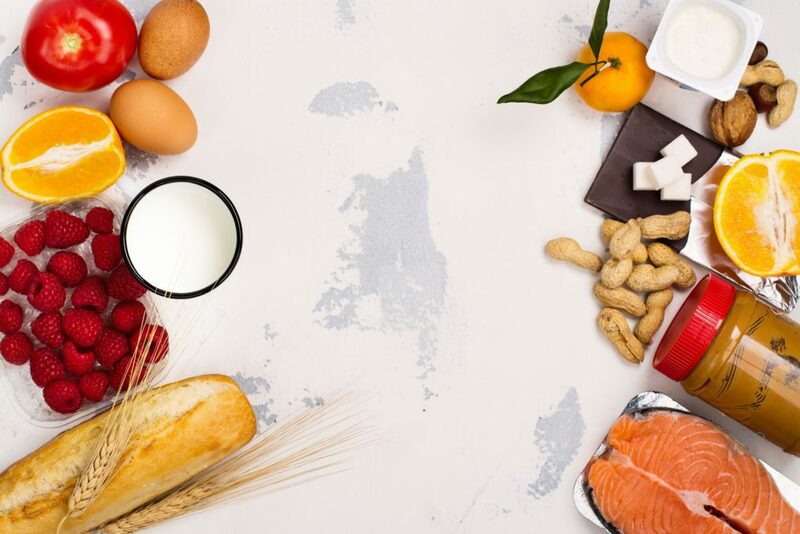 As the current treatment for food allergy involves dietary exclusion of the problem food, information for food‐allergic consumers provided on food labels about the nature of allergenic ingredients is important for the management of their condition. Consumers with food allergies and food intolerances rely on food labelling to enable them to make informed choices about the foods they eat. A number of countries and regulatory bodies have recognized the importance of providing this information by enacting laws, regulations or standards for food allergen labelling of “priority allergens”. 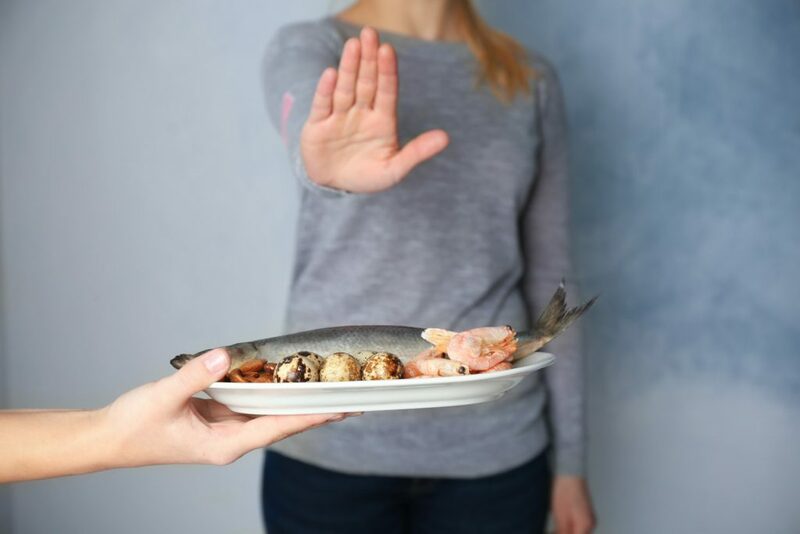 However, different governments and organizations have undertaken different approaches in identifying these “priority allergens” and in designing labelling declaration regulatory frameworks. Increasing volumes of international food trade suggests that there would be value in supporting sensitive consumers by harmonizing (to the extent possible) these regulatory frameworks. The foods that are currently identified as priority allergens in different regulatory frameworks are shown in the table below. Food labelling information is vitally important for those individuals who have food allergies to enable them to make informed choices about the foods they eat. Differences in the patterns of sensitivity country to country make it unlikely that a single list of allergens will be appropriate for all jurisdictions. 1 Mackerel is the only fish listed. 2 Crab, shrimp, prawn are the only crustaceans listed. 3 Walnut is the only tree nut listed. 4 Squid, clam, oyster, abalone, mussel. 6 For Canada – directly added or ≥10 mg/kg; For Brazil – no limit; Others ≥10 mg/kg. Zeynep Ilkbahar is a Senior Regulatory Affairs Manager at Kerry. She has more than 15 years of comprehensive technical experience in the areas of regulatory affairs and food law, food safety, food production and quality assurance.